Terminal illness comes with a variety of challenges. The emotional and spiritual components are complicated and working through them can require enormous dedication. In addition to handling the emotional turmoil associated with end-of-life, the physical aspects can be grueling, with pain management becoming a top priority for many patients and their families. Each terminal patient must decide for themselves how to proceed in regards to treatments and medications. Upon diagnosis, patients should be encouraged to look at all of their options - and to locate doctors and other medical personnel who are willing to take the time to fully explain not only the benefits of treatment options, but the potential side effects of each. Once a patient has been classified as terminal, the focus of care often shifts from potentially curative to offering comfort. 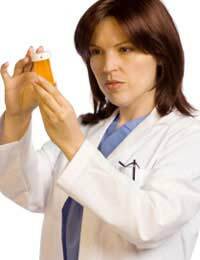 Pain management medications and techniques can offer a great deal of ease to terminal patients, who may experience considerable physical discomfort as they progress. Prescription medications can offer benefits, as can meditation, acupuncture, acupressure, hypnosis, and biofeedback. One of the most important factors in determining quality of end-of-life care is the relationship that the patient shares with their primary doctor as well as support medical staff. While medical qualifications are important, of course, personality and attitude matter, as well. Physicians who are forward thinking and open to the concerns of each of their patients are desirable, especially for patients who wish to explore some of the many alternative and complementary treatments available to help alleviate some of their pain, stress, and anxiety. Terminally ill patients shouldn't hesitate to seek out doctors who share their beliefs, even if that means leaving their previously established routines in health care. When time is limited, patients needn't spend precious time worrying about the feelings of their doctors - it is far more important that they find caregivers who express the willingness to help with all aspects of pain management and pain relief. Patients who require prescription medications to manage the pain associated with their illness have a number of options available to them, some of which can be self-administered or administered by family members or other non-medical caregivers, allowing patients to remain at home while still benefiting from the most effective pain treatments. Carers can receive instruction in providing comfort care, including the proper methods of dispensing medications. Often, the pain associated with terminal illness increases over time, requiring that medications and dosages be adjusted to have optimal effect. With today's advancements in pain management, there is no need for terminally ill patients to suffer. Having an effective plan of action to manage patient discomfort can dramatically improve quality of life during the last weeks and months. While not all terminally ill patients experience significant pain, many do. Untreated or improperly managed pain can add a great deal to patients' suffering, limiting their ability to participate actively in their lives and keeping them from getting all that they can from the time that they have remaining. Patients can specify their preferences regarding all aspects of their end-of-life care, including pain management, by drawing up a living will or ADRT, invaluable in helping loved ones to see that the precious last weeks and months of life are as comfortable and pain free as possible.